SINGAPORE - Prime Minister Lee Hsien Loong on Wednesday announced a reshuffling of roles within the Cabinet as he renews his leadership bench ahead of the next general election. 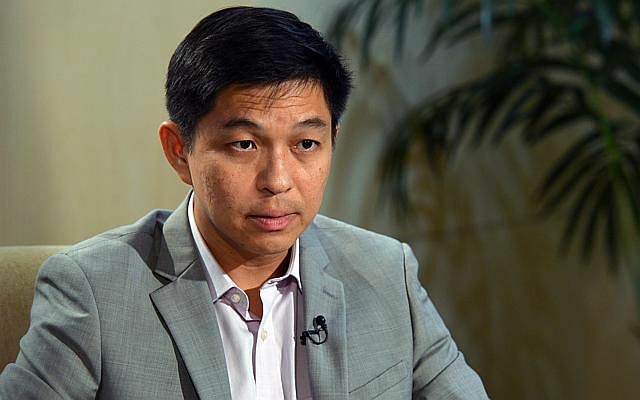 Mr Chan will be Singapore's new labour chief from May 4, taking over the role from Mr Lim Swee Say, who has resigned from the National Trade Unions Congress (NTUC). He will relinquish his appointments as Minister for Social and Family Development and Second Minister for Defence from Thursday. Mr Chan has been with the NTUC part-time since January, and full time since April, after Prime Minister Lee Hsien Loong agreed to a request from the NTUC central committee for him to join the labour movement as part of its leadership succession process. He joined politics in 2011, after 24 years in the Singapore Armed Forces, where he rose to become Chief of Army. 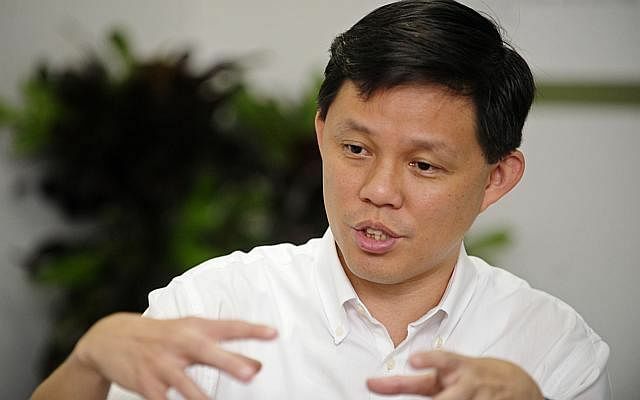 He was elected an MP of Tanjong Pagar GRC in the May 2011 general election, and was immediately appointed Acting Minister for Community Development, Youth and Sports, and concurrently, Minister of State for Information, Communications and the Arts. Then aged 41, he was the youngest minister in the Cabinet. In August 2012, he was appointed Senior Minister of State for Defence. In November, he became Acting Minister for Social and Family Development. Then, in September 2013, he was promoted to full minister, making his rise among the swiftest in the group which entered politics in the 2011 election. Mr Tan, who is now Manpower Minister, will be appointed Minister for Social and Family Development on Thursday. He will hold both positions until he relinquishes his manpower portfolio on May 4. Mr Tan, 46, joined politics in 2011 after 24 years in the Singapore Armed Forces. The former brigadier-general was elected an MP for Marine Parade GRC in the May 2011 general election, and was immediately appointed Minister of State for Manpower and National Development. He is widely seen as part of the People's Action Party's fourth generation of leaders, all of whom entered politics in the 2011 general election. The others are Education Minister Heng Swee Keat, 54, Mr Chan Chun Sing, 45, and Mr Lawrence Wong, 42. In August 2012, he was made Acting Manpower Minister and Senior Minister of State for National Development. He relinquished his National Development portfolio in September 2013. He was promoted to Manpower Minister with effect from May last year. During his stint at the Ministry of National Development, he was the Government's unofficial point person for engaging with non-governmental organisations - a role he continues to play even after leaving the ministry. Mr Tan, who maintains an active presence on social media, takes a keen interest in environmental and heritage issues. When controversy broke over the redevelopment plans for the Bukit Brown cemetery, he was the key official reaching out to interest groups which were against the building of a road cutting through the cemetery. He has also led public discussions on policies such as the Rail Corridor on disused railway land, and foreign maid matters. Mr Lim entered politics and joined the labour movement in 1996 to help the rank and file workers upgrade and remain employable. He served as deputy secretary-general of NTUC from 1997 to 1999 before he was appointed Minister of State for Communications and Information Technology and Minister of State for Trade and Industry in June 1999. In October 2000, he was made Acting Minister for the Environment, and promoted to full minister a year later. In August 2004, he became Minister in the Prime Minister's Office and Second Minister for National Development. He also served concurrently as deputy secretary-general for the labour movement. Since October 2005, he has served full time in the labour movement. He became NTUC secretary-general in January 2007, taking over from Mr Lim Boon Heng who had served as labour chief for 13 years. Mr Lim was elected an MP for East Coast GRC in the last election in 2011. 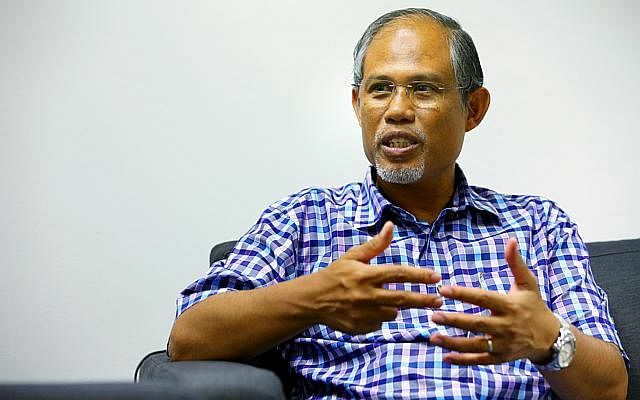 Mr Masagos will be promoted to a full minister from Thursday, making it the first time the Cabinet will have two full ministers from the Malay/Muslim community. The other full minister from the community is Dr Yaacob Ibrahim, Minister for Communications and Information and Minister in charge of Muslim Affairs. Mr Masagos will become Minister in the Prime Minister's Office as well as Second Minister for Home Affairs and Foreign Affairs. Currently, he is Senior Minister of State for Home Affairs and Foreign Affairs - positions he has held since the Cabinet reshuffle in 2012. Prior to that, he had served as Minister of State for Education, Home Affairs and Foreign Affairs. Mr Masagos, who is trained as an electrical engineer, is an MP for Tampines GRC. He was co-opted into the PAP central executive committee in January this year, and was appointed second organising secretary.